The Daily Growler » 2241st Daily Growler of Ever + Trivia Tonight at 7&8pm! 2241st Daily Growler of Ever + Trivia Tonight at 7&8pm! S’melon Imperial IPA delivers on its promise of huge aromatics and in-your-nose melon-y madness. 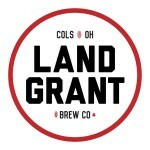 Land Grant added heaps of hops throughout the brewing process and utilized a biotransformative dry hopping technique. Huell Melon, El Dorado, Citra, Cascade, and Simcoe hops pack in huge whiffs and tastes of watermelon, honeydew, tropical fruit, and sweet strawberry. The light malt base leaves a strong, but drinkable IPA waiting right at the end of your nose.